The Nuremberg Miscellany is a unique work of scribal art, rich with paint and powdered gold. It was penned and illustrated in southern Germany in 1589 by Eliezer b. Mordechai the Martyr. 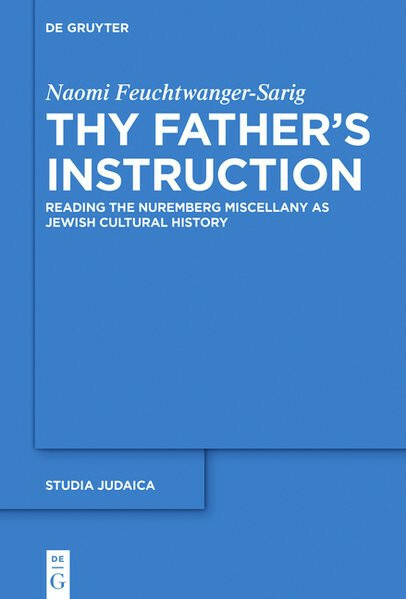 The book is a compilation of religious Hebrew texts, which was probably created as a father's wedding gift to his son. The text and the naïve illustrations are a treasure of Jewish lore and a veritable reflection of contemporary life of an affluent Jewish family.